Bimini Tops, Cockpit Covers, Camper Tops, Bow Covers and More! Great Lakes Boat Top is trusted by over 60 boat brands to make the original covers, tops and canvas enclosures sold with new boats as they come off the showroom floor. If we made the original top, cover or enclosure sold with your boat, we can provide an identical replacement specific to your boat to keep it an original. Great Lakes Boat Top distinguishes itself as a top quality marine canvas manufacturer for tonneau covers, cockpit covers, bimini tops, camper tops, convertible tops and many other boat tops, covers and enclosures by providing original replacement canvas products. In the early days we offered our canvas direct to boat manufacturers, now we offer them direct to you! Learn more about our Factory Replacement Boat Canvas below or request a quote now. The cockpit cover for our 2001 Sea Ray fits like a glove. We are very happy with the service and prompt attention you have given us in the past and will continue to use your company for all of our canvas needs in the future. We just installed a complete new canvas package (with eisenglass) on our 1998 SeaRay 270 SE. The installation went perfect! The boat looks brand new! Thank you so much for your amazing service! Everything was as promised and fit very well. Great construction. The new front and side windshield curtains fit well with the burgundy Sunbrella bimini and camper top. You may remember helping me with an order for a bimini top for my 97 Sea Ray 175 OB which I had thought was a 98 model. You shipped the top on the date promised via Old Dominion Freight and it arrived the next day! What is Factory Replacement Boat Canvas? 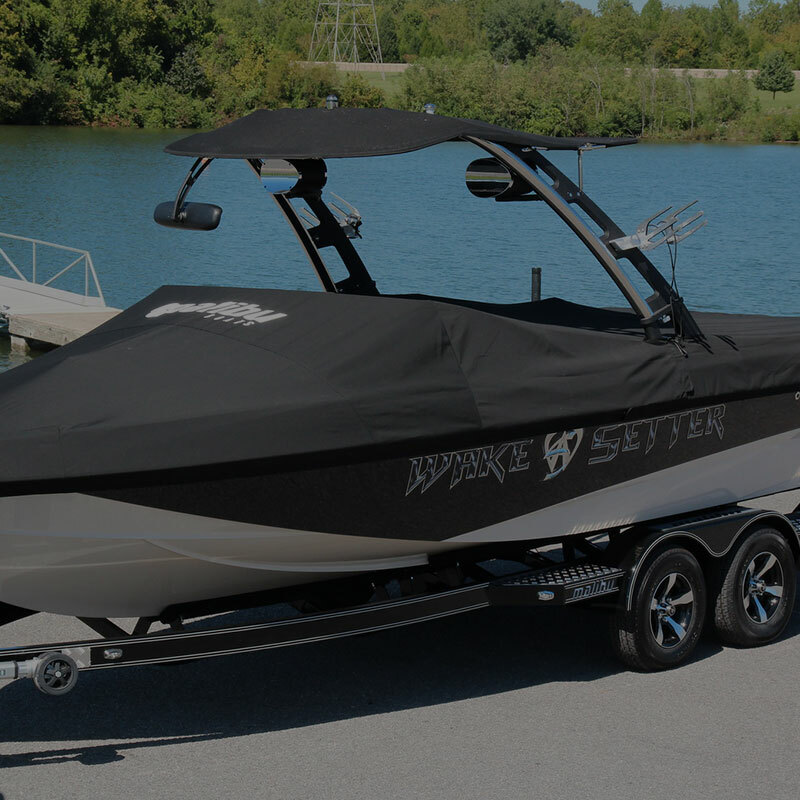 Likely your boat came with, or you had the option to buy, a boat cover, top or enclosure directly from your boat's manufacturer made specifically for your boat's model and year. There may have been a few select colors or even signature colors unique to the boat brand making these the "factory canvas" options recommended for your boat. The fit of these mooring covers, camper tops, bimini tops, convertible tops, sunshades and other marine canvas products is perfect because each was designed in conjuction with the boat manufacturer as original equipment for that boat. If your original cockpit cover, bimini top or enclosure is damaged, worn or even lost, Great Lakes Boat Top can provide new factory canvas (i.e. factory replacement canvas) with the same high quality, precision fit if it originally made the canvas specifically for your boat. (See list of boat manufacturers and look for your model here.) Get the same look, fit and color to match your boat or the rest of your canvas. We make the original boat covers, tops and enclosures found on over 60 boat brands right off the showroom floor. A direct relationship with the boat manufacturer means we have specific patterns for an exact, precise fit for thousands of boat models and the quality is top-notch to adhere to high standards at the boat company. The snaps on a cover will line up, the boat top will fit, and the color will match. Other aftermarket marine canvas companies can't even come close. Check out what boat brands choose Great Lakes Boat Top as their canvas supplier for original equipment bimini tops, sunshades, visors, camper tops, tonneau covers, convertible tops and many other tops, covers and enclosures. As the original manufacturer of the canvas on your boat, Great Lakes Boat Top has the same fabric and colors as the boat manufacturer offered when you first purchased your boat, allowing for some technological advances over the years. You'll be able to match the top and enclosure pieces you still have to keep a uniform look and maintain the original style of your boat while adding to its value. Factory direct pricing means savings to you when purchasing a replacement boat top or marine canvas enclosure. We make the final canvas product in our Tennessee factory after you order it. (We accept MasterCard, VISA, and Discover credit cards as payment). Request a Quote today! Our Factory Replacement boat canvas will match all aspects of the original canvas cover, top or enclosure such as color-matched Sunbrella® fabric, bindings, zippers, webbing, fasteners, fittings and top frames. If you provide the correct year, make and model along with any added accessories - original or aftermarket - your canvas is guaranteed to fit. Read more about our guarantee. Need help determining what you really need? Don't know what it is called? First check out our Canvas Types page with photos and descriptions of each type of cover, boat top or canvas enclosure we offer. Then, Request a Quote for the canvas your boat needs. 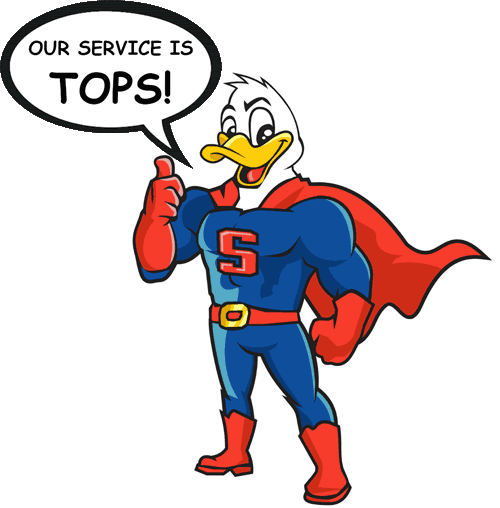 At any time, give us a call toll free with any type of question at 877-TOPS-861.